Dr. Lowell Grieb talks about how to approach cold weather running and what you need to stay warm. 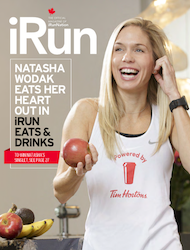 Then a member of the RCMP, who fulfilled her goal of running Boston explains why she runs for her physical and mental health. Plus, find out if women really are less likely to quit than men.